It might not seem like it to everybody now, but the exploration of space is the most significant thing we will ever do as a species. Commercial space tourism matters because it is turning something which is the preserve of the extraordinary into something for everyone. Humans were built to go over the hill, they were built to explore. And space is our next hurdle. In the words of Apollo astronaut and Last Man on the Moon, Gene Cernan, “it is our destiny”. Yet more than 43 years since he walked on the Moon, we have not returned. In more than 50 years of space exploration, fewer than 600 people have experienced life away from our planet. All this will change. Just as throughout history governments have gone in first and then private companies have followed, manned space exploration is no different. Despite what some see as setbacks. It will happen. “The more who invest belief, energy, goodwill, talent and yes, money into it, the cheaper and more accessible it will become” says Virgin Galactic Founding Astronaut, Advertising Executive and Film Producer, Trevor Beattie. Up until now those who have traveled to space had been the Right Stuff; intellectually, medically and physically. Scientists, engineers, test pilots, selected by government space agencies. But there is a new Right Stuff whose role is going to be just as significant. The first commercial space tourists. “The fundamental difference between us and the original Right Stuff, is that we are a self selecting bunch of Average Joes (and Joannes), driven by a lifelong desire for space” explains Beattie. In order to open up space as a species, more people need to experience space travel. Just because they are self-selected passengers, it doesn’t make their role any less significant. They are the first ‘ordinary’ people who will put themselves forward for the rigors and risks of spaceflight. And as we become a space faring race, the knowledge gained from from their experiences, will help to lay those foundations. 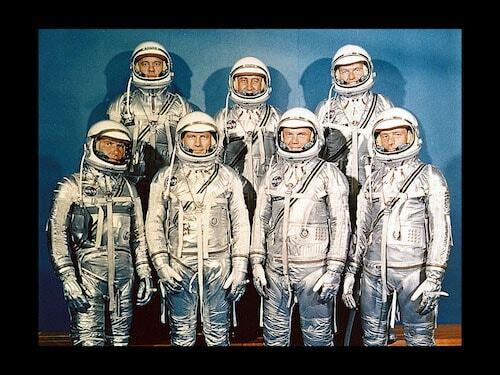 In the late 1950s an elite group of test pilots, who became known to the world as the Mercury 7, were pushed to the limit, to understand how their bodies would cope in the unknowns of space. Today, our knowledge of how space travel effects the human body has increased significantly. People who were once considered unable to fly, are now able to experience space. Even one of the Mercury 7 astronauts, Deke Slayton was prevented from traveling to space for more than a decade, because of a health issue. The University of Texas Medical Branch, in collaboration with the National Aerospace Training and Research Center, is researching, how the average person could travel to space. The studies have shown how most people with well-controlled medical conditions should have no trouble with the moderate acceleration seen in suborbital spaceflight. They are currently looking into the training required and preparation time needed for future commercial space travelers. This is research which involves the use of everyday volunteers, people who are not test pilots or astronauts, who are subjected to a program which includes; simulated space flights, g-tolerance flights, acceleration forces and motion environment and training. The new Right Stuff are also investing more than just their money; they are investing their beliefs. Beliefs in an industry which is far too often knocked by commentators who don’t quite understand how something so seemingly improbable, will eventually come true. Just as how when the first airlines were founded in the early twentieth century, many couldn’t even begin to image the world we live in today, with technology which wasn’t even imagined 20 years ago let alone 100 years ago. “Things which begin as challenging, dangerous, difficult, expensive or downright daft often become the normal way of our world, once the pioneers have taken the brave leap on behalf of us all” says Beattie. All the things which seem like science fiction have a way of eventually coming true. 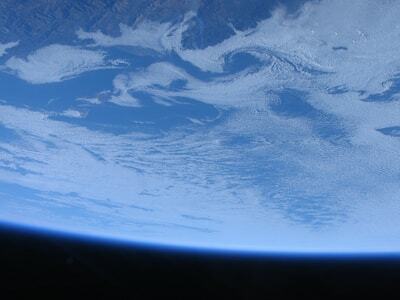 Today’s commercial spaceflight companies and their investors have one thing in common. Whether they all individually succeed or not, they are all laying the foundations for the greatest, most significant thing humankind will ever do. Leave Earth and become a space faring species. In the words of one of the fathers of rocketry, Konstantin Tsiolkovsky "the Earth is the cradle of humanity, but mankind cannot stay in the cradle forever."